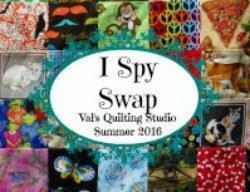 Val's Quilting Studio : Tuesday Archives Give-Away! This week instead of a linky, I'm celebrating my 52nd Birthday with YOU by offering a THANK YOU give-away of 52 I-Spy squares! The winner was announced here. 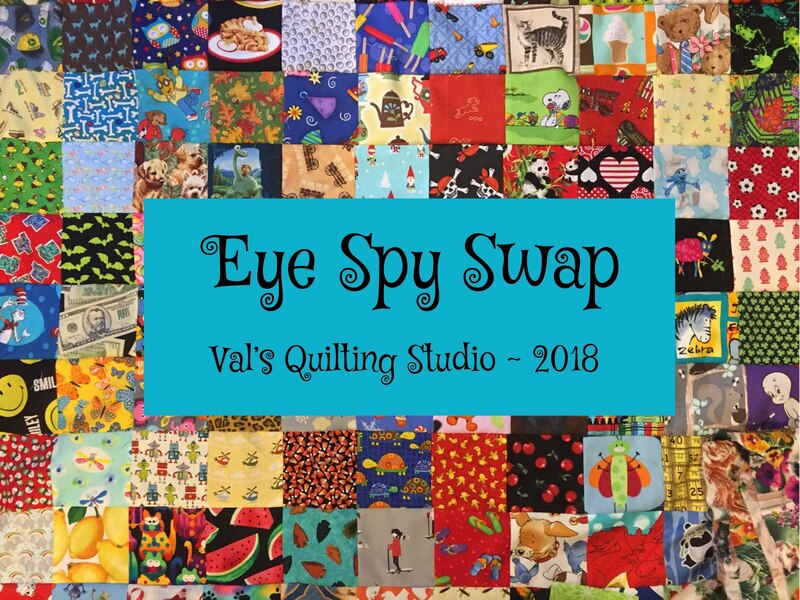 Note: These ARE duplicates from last year's Eye-Spy swap here at Val's Quilting Studio Blog. It was quite an eventful day at school....as we had a day without electricity! But truth be told, it was a lot fun! We wrote creative stories about life in school without electricity. The hallways were referred to as "dark tunnels" and the bathrooms being lite with but a single hanging flashlight, were quite the curiosity! Hey, atleast I didn't have to teach outside. As you can see below, some of my teaching friends who have internal rooms with no windows...had to relocate. We ended our "Day Without Electricity", by having a birthday "cupcake frosting" party. My cooperating teacher had my students complete the cutest little "All About my Teacher's Birthday" project. It was sweet to end my day reading through these. Of course, comment to be entered in the give-away. And to make it a bit more fun, instead of being a series of comments that are answered through email, comment by first, reading the comment prior to yours and answering the question they ask. Then, end your comment with a silly question for the next person. I'm leaving the give-away open for a week, as I got to spend the past Memorial Weekend with a household of family and though the kids are gone, lucky me, my mom and dad will continue their stay for the remainder of the week. And of course, it was extra fun having this little guy around to help his Meme open her presents! I'll be back next week to announce the winner. June's themes are posted on my sidebar. Mark you calendars and I hope you'll join us. Happy Day! My question to get the commenting started: Which do you prefer, coffee or tea? Neither, it's hot cocoa for me! What is your favorite flavor of ice cream? I love vanilla ice cream. What's your favorite animal? What a fun way to celebrate your birthday! My favorite ice cream depends on my mood, either mint chocolate chip or pistachio. I have lots of favorites but dirty dancing always gets a watch. Your such a creative teacher! I can see why the children would love you. Happy birthday! Favorite thing about myself would be my family. How old were you when you got your first "real" kiss? Happy BIrthday You Beautiful Young Thing!! Oh, I got a tough one - my first real kiss would probably be when I was 16. My bestest friend had a sweet 16 party (and allowed first boy/girl party) and my 'charmer' at the time gave me OUR first kiss. Oops! Sharon forgot her question as she daydreamed about that first kiss! Lol! Okay...what's your favorite dog breed?? I'm allergic to dogs but my favorite breed is a purebred poodle. What's the first thing on your bucket list? I had several hours without electricity today too. I can't find the journal with the official list fast enough, so I will say one of the things on my bucket list is to take a train ride through the Rocky Mountains on British Columbia Canada. What is your favourite colour of cow? Oops! I should have said Happy Birthday. Happy birthday Val oh to be so young! My favourite coloured cow is the brown Jersey cow .When I was young a very long time ago I was a big fan of Gene Pitney who was your first love when it came o pop singers? Happy Birthday Val! My first celebrity crush was David Cassidy of The Partridge Family era. That dates me, I think! My question is, If you could do anything with guaranteed success, what would you do? Happy, happy, happy birthWEEK, Val! I loved seeing pictures of your classroom. The architecture of your school reminded me of MY elementary school, Birchview Elementary in Wayzata, Minnesota. We had team teachers in a huge room like yours (well, it seemed huge to this second grader!) and one quadrant of the room empty for when all the kids sat on the floor to watch a movie, and tables in the others. I had a plastic drawer full of my school supplies and there were rails on the bottoms of the tables. We'd move to different sections of the room for reading, math, etc. and just slide those drawers under the table. Where is your school located? Wouldn't it be cool if it was designed by the same architect as mine? One of those pictures startled me -- I thought for an instant that it WAS my elementary school! Okay, Marian wants to know what I would try if I knew I could not fail (guaranteed success). I'm glad I get to answer this question, because this is the exact question I asked myself about a month ago and it's the reason I took the plunge and bought my longarm quilting machine! The "what ifs" had been holding me back. Those machines are so staggeringly expensive -- What if I couldn't do it? What if I bought it and everything I tried to quilt came out ruined and then I've wasted all of this money that could have gone in the college funds... What if I end up just one more quilter who bought a longarm machine that ends up standing in the middle of the room collecting dust and making me feel guilty every time I look at it? But then I thought, what would I do if I KNEW I COULD NOT FAIL. 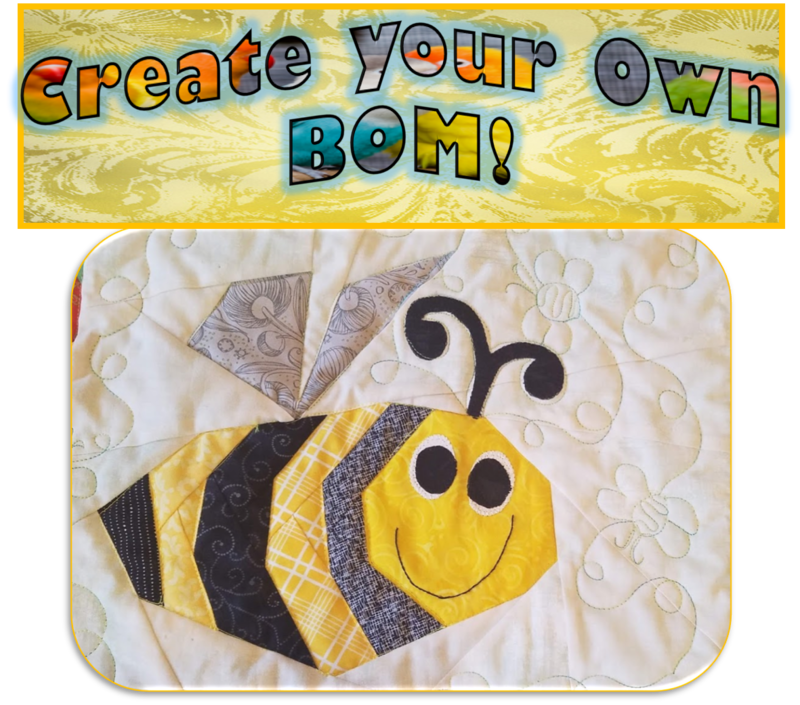 And I thought of all of the projects and ideas swirling around in my head, the beautiful quilting that I see at shows and on longarm quilters' blogs, and how I love to draw and doodle and create. If I knew for sure that I could do it, if I was guaranteed to be successful, I would buy that longarm machine and dive in head-first. So I did! Okay, now my question for the next commenter: What was your worst entertaining disaster? (Mine was when I served a birthday cake to a house full of guests and the birthday cake turned out to be not all the way cooked. Gooey disgustingness when I cut into it, and a disturbing resemblance to vomit as I chopped it up and passed it out on plates). Thank you! The next question from Jo: How far would you travel for a bit of fun shopping in the middle of the night and would you go in your pjs???? Hmmmm, I regularly have to travel to get to a quilt shop since I live 2 hours away from one, but I don't think I would go in the middle of the night. But, heck, yes, I would go in my pjs! 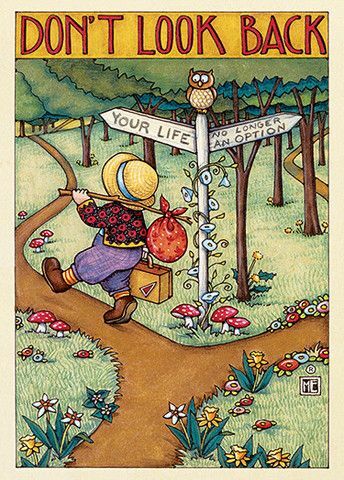 My question:as I was sitting looking out my window this morning at all the spring green, flowering trees and plants with the birds busily gathering bugs and worms for their babies, I was thinking how much I love the month of May. What is your favorite month? Happy Happy Birthday Val!!! My favorite month will be May or June. All the pretty flowers, singing birds, and just right weather wise! (Can't handle the heat.) My question: What is your favorite thing to do with your family? Val, you are one crazy birthday person! What a fun way for all of us to get into the birthday celebration!! OK Margie, I love to sit and visit and chat with my family! Nothing fancy just quality time catching up, telling stories of the past and laughing about the present! My question: If you were lucky enough to be a student in Val's class this year, what message would you leave for her students coming next year? Happy Birthday Val! I always read your blog. My message for your students would be to enjoy the year with a teacher who loves teaching and enjoys teaching her students new things, like crafts and quilting. It will be a fun year! P.S. I will be a new Grandmother in early September to a daughter who is a 5th grade teacher and I will have the pleasure and honor of caring for our Grandchild while she shapes young minds as well. My question is: Do you have any advice for a 1st time Grandmother? Happy Birthday! Kathryn about advice for a 1st time grandmother, I can't really answer that because I'm not a grandma yet, but I am a crazy aunty. I guess I would say just love on them, hug them and thoroughly enjoy every moment. My question is: What is the best vacation you've ever taken? My first trip to New Zealand. Just magical. Since then my husband and I have been back 13 times. Perhaps that says it all. My question: What is your favourite fruit? My favorite fruit is a nice, really crisp apple. Val, I can't believe they didn't cancel school with no electricity. I know you have to make up the snow days, but it seems like there would bd safety concerns without power. Happy Birthday. Enjoy your guests. My favorite flower is the tulip. Happy Birthday, Val. And what a fun day in school. Have you ever been to Norway? Happy birthday Val. My favourite flowers are roses especially the ones with a lovely scent. 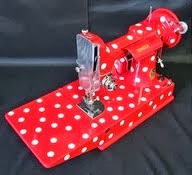 My question ; what is your favourite sewing notion or tool? Sing along, everyone: Happy birthday to you! You are 52! You are a great teacher, and a great quilter, too! I'm going to answer tubakk's question: Yes, I've been to Norway. Back when I was in college, my father was stationed in Germany. When I visited him, we took a tour bus through a few other countries. I remember Norway being very beautiful, and I want to go back in our boat someday. Let's talk shoes: do you love high fashion shoes, or high comfort shoes? If the answer is both, tell us where to find such a mythical beast! Happy Birthday Val!!! What a crazy giveaway. It was really fun to read all of the comments. Wishing you a happy birthday, Val, you sweet young'un! I would love to win some of those I-Spy squares for a sweet little granddaughter! My favorite holiday is July 4th....the weather is (usually) nice in the summer, my fav season. We always go to a small nearby town for their music and fireworks display after a relaxing and fun BBQ with family. Here's my silly question for the next visitor: recently I've seen a lot of news about Red Nose Day (google it if you've never heard of it). Question: would you wear a red nose when you went out to shop for fabric at your favorite quilt shop? Sure, I'd wear a red nose! Next person, if you could be any age, how old would you be? Happy Birthday! I think I would want to go skydiving! What would your superpower be if you were a superhero? Happy birthday, you're almost catching me up! In answer to Alison's question. I'd like to be able to finish one project off before starting the next. No UFO's ever again. That would be 'super' and I'd consider myself a 'hero'. Happy Birthday! I would be a bird, always have wanted to fly. If you were to have to live in the Ocean what would you want to be. Hoping your birthday was awesome Val. Interesting question. An ocean animal, probably a seahorse. They have always intrigued me, lol. Question: If you could magically be transported back in time, what century/era would you choose to visit? Happy Birthday Val. Looks like the whole school made the best of a difficult situation. Answer: I think the 1800's just to visit..I would have made a poor pioneer woman, I am afraid. My question: What is the title of the book you are reading now or the last book you read? The last book I read was Dead News, a mystery series set in North Dakota. Have you ever rode a horse? I sat on my neighbours horse but wanted to get straight off, it seemed so high. I must have been eight at the time. Happy Birthday Val, no lights does not seem to faze children, just a new experience. Question, Who would you like to meet for a chat? I would like to meet Jane Austen for a chat. ( Yes I know she's no longer with us- but she would have been so interesting to talk to. My question: If you could be a character in a book, who would you be? Happy Birthday and just in case, my e-mail address is lindastew52@gmail.com. Happy birthday! Thanks so much for the chance to win the I Spy squares. I would love to whip up a quilt for my new granddaughter! I'm a retired teacher, and days without electricity were almost as much fun as the day I had complete laryngitis. The entire class was whispering all day, and the smiling students left declaring it the best school day ever! Lol! A whisper day would be amazing! Next question is from Linda above....if you could be a character in a book, who would you be? LOL! I'd have to say one "luxury" I truly enjoy is wine. I love the food and conversations had with family and friends as it's enjoyed. I love the variety that can be found. I love collecting it. It's truly my empty nest/middle age luxury. Thanks for asking! My question for the next person would be, if you could chose any vacation spot in the world, and money were no object, where would you go? The vacation spot we are saving for is Burma. Our son just got married to his college sweetheart who is from that country. They are planning a belated honeymoon there. And there will be many more trips in the future. My question is do you remember your reusable shopping bags? Or don't even bother? Sometimes yes, for groceries we just keep reusing the same 2 big boxes. Would you rather be able to fly or to swim like a fish? Happy Birthday Val. I'd rather fly, it's more scenic I think. What one food would you be happy to give up and never eat again? PEAS!!!!!! (Sorry I couldn't resist interjecting my forever...I'm not ever eating a pea again comment!) Ughh...they are sooooo gross! Happy Birthday Val! So fun reading all the comments. I would happily give up beans For Ever...yuck. Are you a city person or country person? How old will you be when you have used up all your fabric stash? Happy Birthday, here's a toast for many more! Happy Birthday! I'll answer the question, "How old will you be when you have used up all your fabric stash?" I would be a Ripley's Believe It or Not if I ever used up all my fabric! My question, "Do you take your Hubby with you when fabric shopping? What does he say when you have a cart filled with fabric?" Now why would I ever want my husband to fabric shop with me? He would say things like "Don't you have lots of fabric at home?" How old were you when you made your first quilt? I was 12 when i made my first quilt. It was a very simple tie whole cloth but none the less i still have it! What size is the smallest piece of fabric you are willing to work with? OMG I would LOVE a day like that at school if I were a kid! LOL you all made it fun for them! The smallest size I save are 2" squares. Occasionally I'll save strings that are as skinny as 1 1/4" wide. My question: which pet would you rather have: a squirrel-sized horse or a horse-sized squirrel?